Negredo scored in the 90′ to give Sevilla (down to 10 men since the 72′ when Navarro was red-carded) the 1-2 victory when it looked like we would slump to a tie against one of La Liga’s lowest. Manzano came out with an offensive-minded 4-3-1-2 that was probably more like a 4-1-3-2 at many times as Diego deadman Capel and Perotti roamed the flanks, sandwiching Renato and Zokora (!) in the middle. I, personally, did not see the first half; I never saw Capel on the field, as he was subbed at the break for Alfaro. What I did see, though, was good pressure on the ball in Zaragoza’s half. We were the ball-starved, the headless running men who gave little space in which to attack. Zokora did well, I thought. Dabo was excellent in closing down onrushing attackers. In a match that featured 9 yellow cards, he was fairly fearless and made several danger-saving tackles. In the second half, the ref seemed to let the game get away from him a bit. He admonished several fouls in a row with yellow cards. Minutes 59-79 of the match featured 6 yellows and 1 red. At that point, with the match tied 1-1, it seemed pretty obvious that Sevilla was going to fumble its way into a bummer of a loss. The dread was starting to build on my end, as Alfaro was clearly taken down in the box in the 68′, just four minutes before Navarro clack-clacked his way into the tunnel. Adversity was mounting, but Sevilla was clearly set on getting the three points. We looked to break fast when Varas got a hold of the ball, we didn’t reduce our creativity to the long ball towards Negredo, and we scrapped our way through to victory. Negredo’s goal was a testament to hustle and skill. After getting a foot on a long clearance (pass?) from Alfaro, he fought and won it with a bit of luck from the two Zaragoza CBs. He surged ahead along side the CB who managed to recover, came in wide on the left of the 6 yard box and drilled it in, kissing the far post with his left. Zurdazo total. 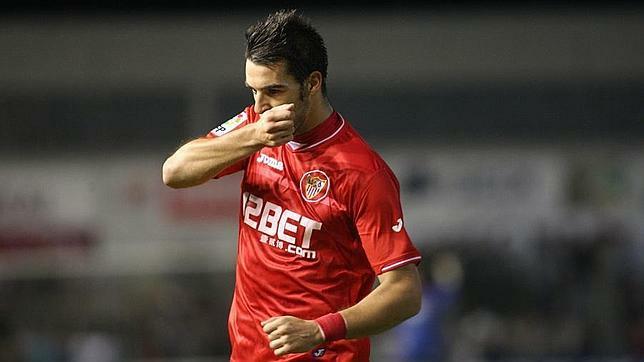 Then, as usual, Negredo kissed himself. With the victory, we move up to 4th – pending the result of Valencia/Getafe. A Valencia victory would drop us back to 5th, but we’d be level on points. Manzano made good subs in the second half. Alfaro was very active and, as was mentioned before, should have won a penalty. Negredo obviously made quite a diference. Konko was noteworthy in defense for not really being mentioned: he must have kept his man under wraps. Today, we are all Negredo’s wrist.